HELLO! Magazine offers behind-the-scenes reporting of the hidden world of royalty, glamorous celebrities, as well as high flying socialites. Get your weekly dose of award-winning content brought to life through it’s beautiful and intimate photoshoots. The iconic magazine kick-started the concept of seeing celebs in their own homes and giving a real glimpse into their personal lives. By securing exclusive access to the worldwide elite, it has become the leading women’s weekly magazine in the UK. HELLO! 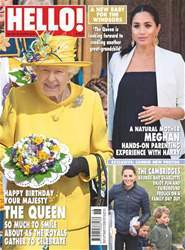 Magazine reveals inside details on the Queen's royal appearances, as well as much anticipated royal weddings, exclusive engagement news and of course, exciting royal pregnancies! HELLO! Brings you the latest straight from the infamous British royal family, the Windsors and news on all of the international monarchs lavish lives. 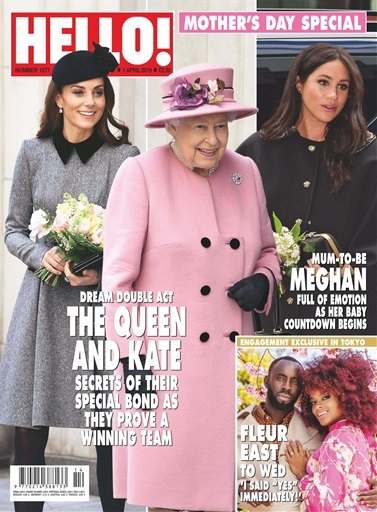 If you love staying up-to-date on the latest and best of the royal and famous, then treat yourself to a HELLO! magazine subscription today! Looking for Hello! Magazine in print? Unfortunately pocketmags.com does not sell print copies of Hello! Magazine, but all is not lost. Our partner at magazine.co.uk sells print subscriptions at the best prices online. Page after page of exclusive interviews, reports and the latest news delivered direct to your tablet every week. When HELLO! magazine launched in 1988 it revolutionised the magazine industry and established itself as a publishing phenomenon. From its modest beginnings in Spain, HELLO! is now published in 24 countries and 11 languages. It may be a world-renowned title now, but publisher Antonio Sanchez Gomez originally launched the magazine with the name HOLA! from their own living rooms. The first issue featured an unprecedented personal photoshoot, along with an in-depth interview with Princess Anne at Buckingham Palace. This then set the tone for the glamorous, but always respectful coverage of royalty, Hollywood stars and high society figures. Lavish and personal celebrity photoshoots in-house was a first in the UK, this gave readers a sense of intimacy and as if they were really inside the celebrities home. This rare insight into a celebrity home and life went down a storm with readers, which in turn, helped grow HELLO!’s loyal fan base. HELLO! magazine pioneered the concept of a celebrity wedding exclusive, as well as celebrity baby exclusives. Get The Look: See how to get a celebs style without breaking the bank! You'll receive 51 issues during a 1 year Hello! Magazine magazine subscription. You'll receive 51 issues during a 1 year Hello! Magazine magazine print subscription.